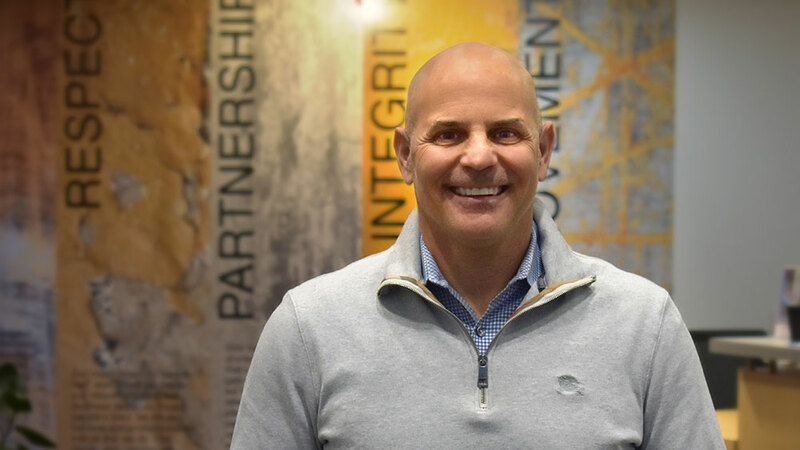 Global Finishing Solutions® (GFS) is pleased to announce the appointment of Sal Parente to the newly created position of Executive Vice President of Sales. Parente will oversee the company’s aerospace, automotive refinish and industrial sales business units. 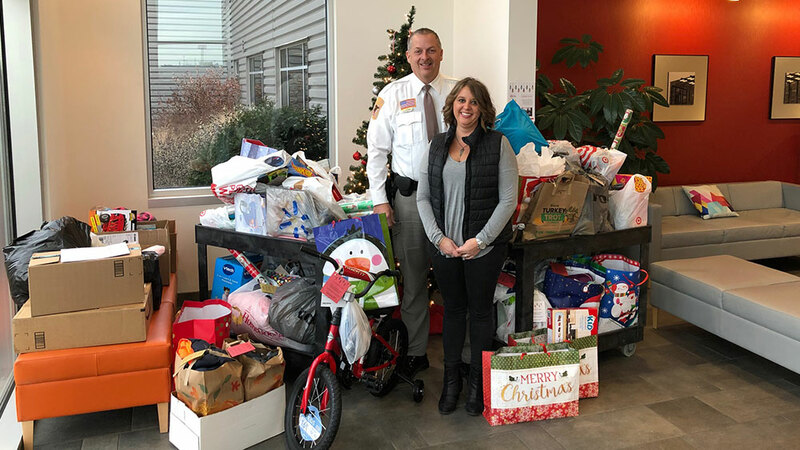 GFS is committed to assisting our employees in their efforts, as well as contributing to many local causes and organizations. An internal Charitable Donations committee handles distributing educational scholarships, monetary donations and custom-made fire rings for various community events, fundraisers, silent auctions and more. 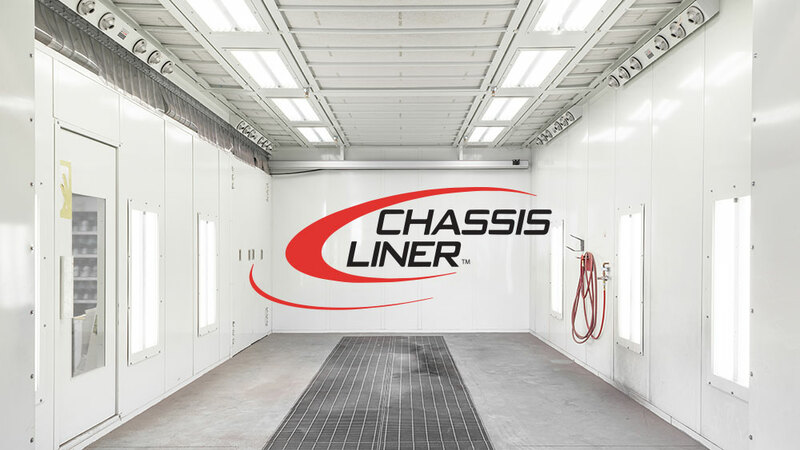 OSSEO, Wis. — CSN-Sarkis Collision will become the first automotive body shop in Atlantic Canada to have paint booth-integrated REVO Accelerated Curing Systems, the revolutionary short wave electric infrared curing technology from GFS. 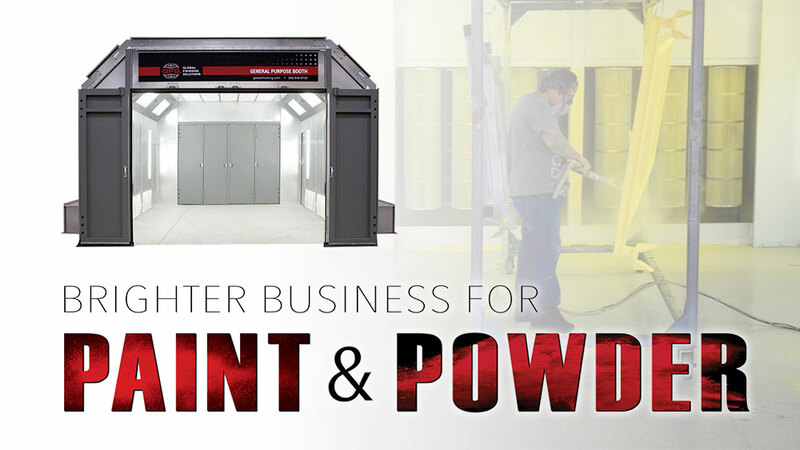 OSSEO, Wis. — Dedicated to providing high-quality, cost-effective finishing equipment for industrial manufacturers and businesses, Global Finishing Solutions® (GFS) is excited to feature General Purpose Paint Booths and Powder Recovery Booths at FABTECH 2018, from Nov. 6-8 in Atlanta. 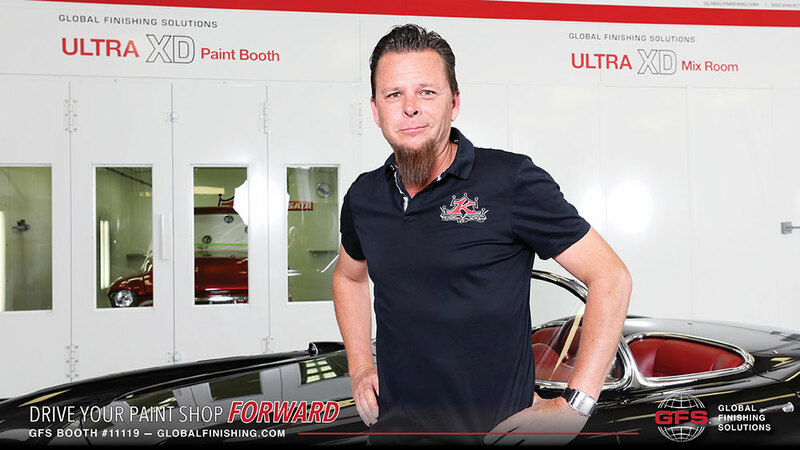 OSSEO, Wis. — Global Finishing Solutions (GFS) is eager to welcome Dave Kindig of Kindig-It Design to GFS Booth #11119 at this year’s SEMA Show, from Oct. 30 to Nov. 2 in Las Vegas. 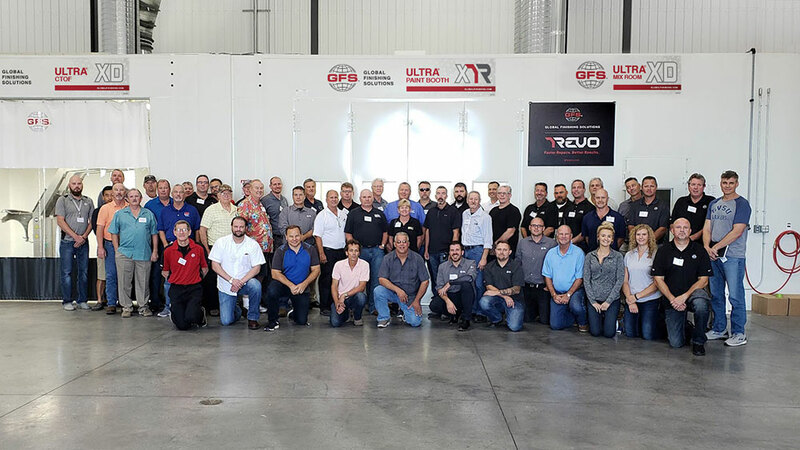 Global Finishing Solutions (GFS) welcomed a group of automotive refinish distributors at our headquarters in Osseo, Wisconsin, for training on products, service and maintenance, code compliance, sales tools and other various training sessions. 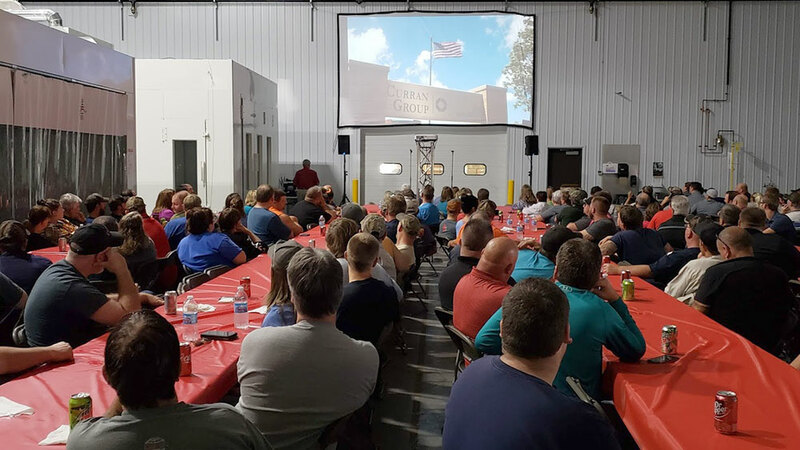 Since 1998, Global Finishing Solutions (GFS) has been fully owned by the Curran Group, Inc., a family-owned and operated holding company based in Illinois. This year, the Curran Group is celebrating 100 years in business and GFS is taking part in the celebration. 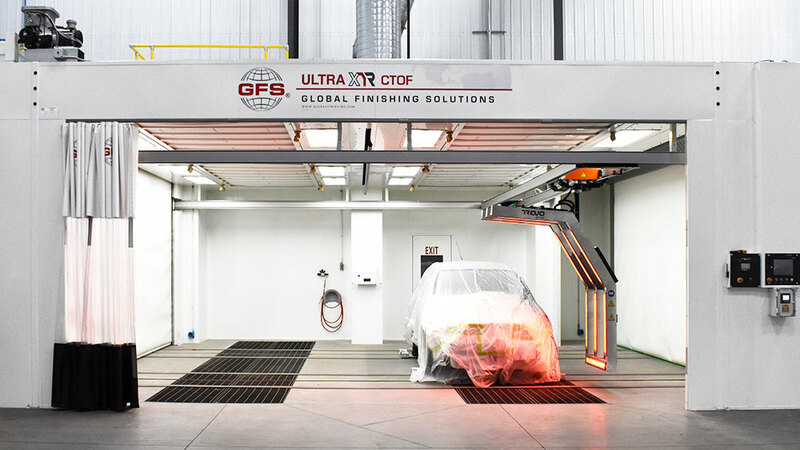 Global Finishing Solutions (GFS) is excited to announce the release of the Dry Filter Paint Booth line — which includes Bench, Open Face and Enclosed Finishing Paint Booths. 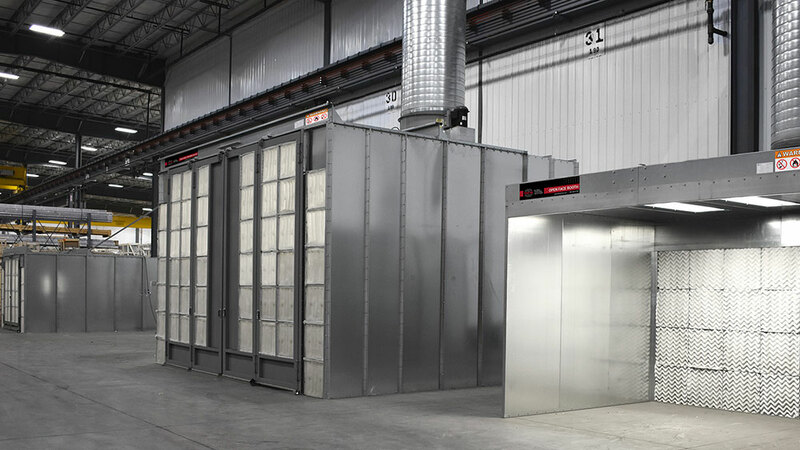 GFS’ most affordable and versatile industrial paint booth line, Dry Filter Paint Booths provide safe, affordable solutions for a wide variety of finishing applications. 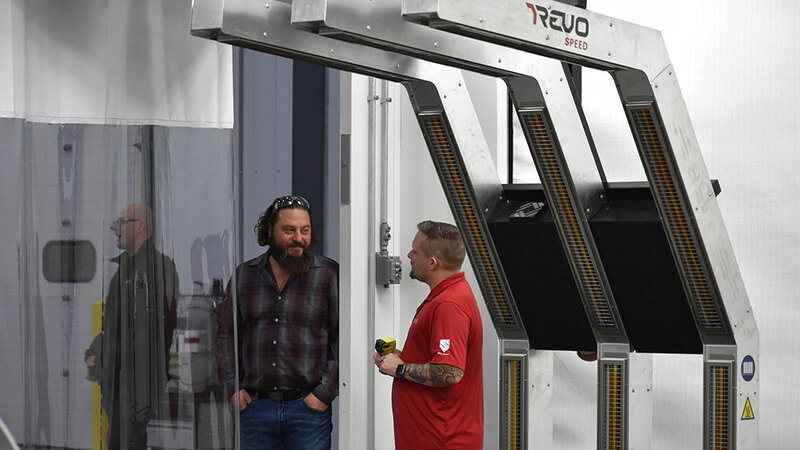 Global Finishing Solutions (GFS) has raised the positioning of its REVO Speed Accelerated Curing System from 4 to 9 inches off the ground, making it compatible with any factory lifted truck on the road.